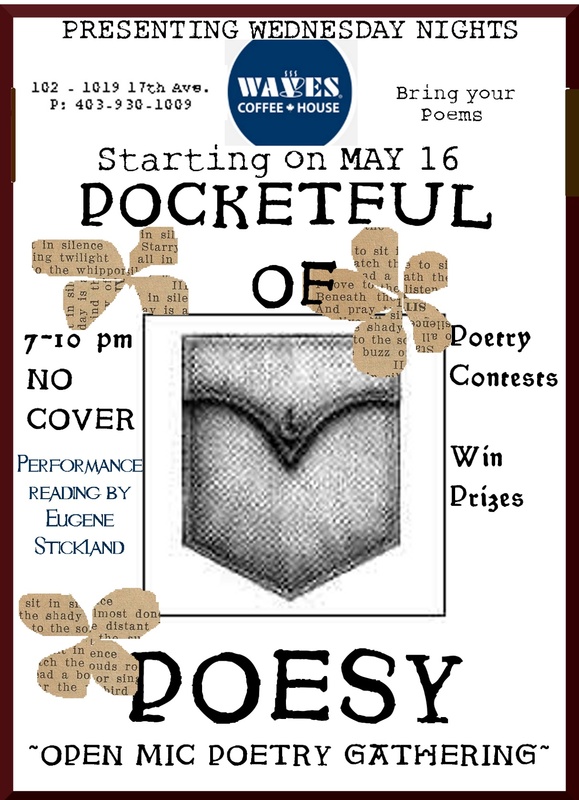 At the Pocketful of Poesy Open Mic At Waves Cafe. In my last post, I talked about how changes in technology, especially having to do with smart phones and various Apps like Instagram, have changed the nature of photography, both how it is done and how photos are shared. But what I really set out to talk about was poetry. This post is an elaboration of something I said, probably was in the middle of saying in the photo on the left, at a poetry gathering the other evening. That being, how is it that with all the new technology available today that poetry not only survives but seems to be thriving with little or no influence brought to bear on it by technology? As I said in my last post, nowadays it’s easy for people to think of themselves as photographers, maybe even a serious photographers, depending on the number of followers they have on Instagram, say. And yet while this makes perfect sense at some level, what seems remarkable to me is at the same time, more and more people are writing poetry, yet using none of the new technology in the process. iPads and Airbooks and notebook computers have their place for certain types of communication, but from what I’ve observed, poets still favour a pen and notebook (of the paper variety) and in this regard the process of writing poetry hasn’t really changed all much since Shakespeare was writing his sonnets a little over 400 years ago. 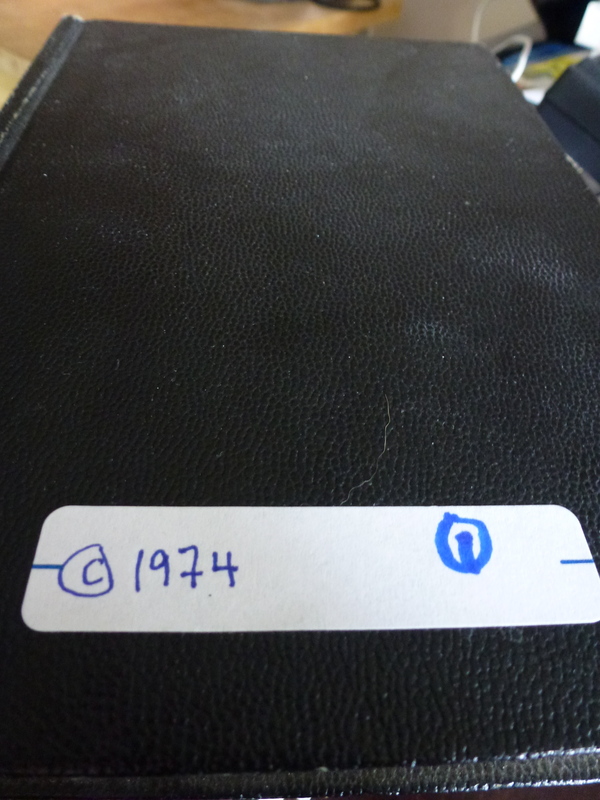 For me, as for so many, it’s still a matter of opening the old Moleskine (or Leuchhturm which I’ve been using lately and actually prefer to Moleskine) notebook and taking out a pen or pencil and having at ‘er. Technology only enters into the picture when it comes time to edit, I should think. Although one thing I’ve seen lately is people reading a poem from their smart phone, something I haven’t tried yet, but it looks kind of flashy and modern. I guess I’m terribly old-fashioned in this regard — I like the comfort of the paper, or the book, in my hands when I’m giving a reading. But as I say, poetry seems to be thriving these days nonetheless. If you look at the above photo, you will see a good cross-section of people, of all ages and sexualities and finances and levels of education who have gathered together for the shared communal experience of communicating something vital to them with a roomful of virtual strangers. 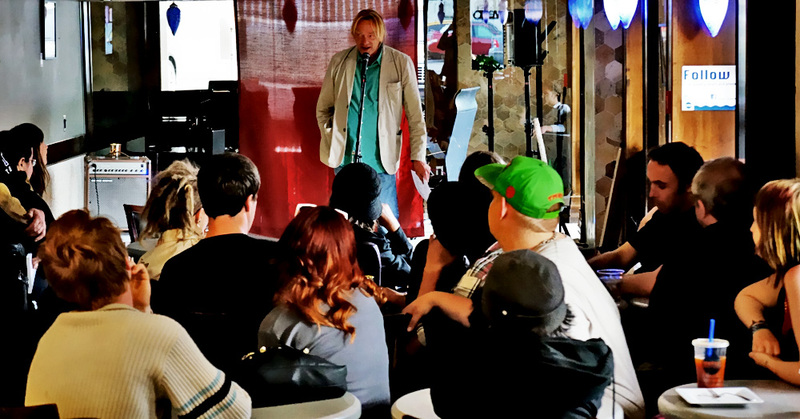 That this is just one of many such reading series in a mid-sized city not universally known for its poetry gives a strong indication that whatever the world may be now, there is perhaps more than ever a need for poetry in it. When I was writing plays and seeing them performed with some regularity, I used to remark on this same kind of shared communal experience that the theatre offers. In one of my ramblings, probably in the Calgary Herald, I speculated that while religion is not a serious option for many people these days, we still seem to feel the need to congregate and share our stories and our feelings. I believe the theatre does that — and I believe that’s why it is still a viable and essential art form. 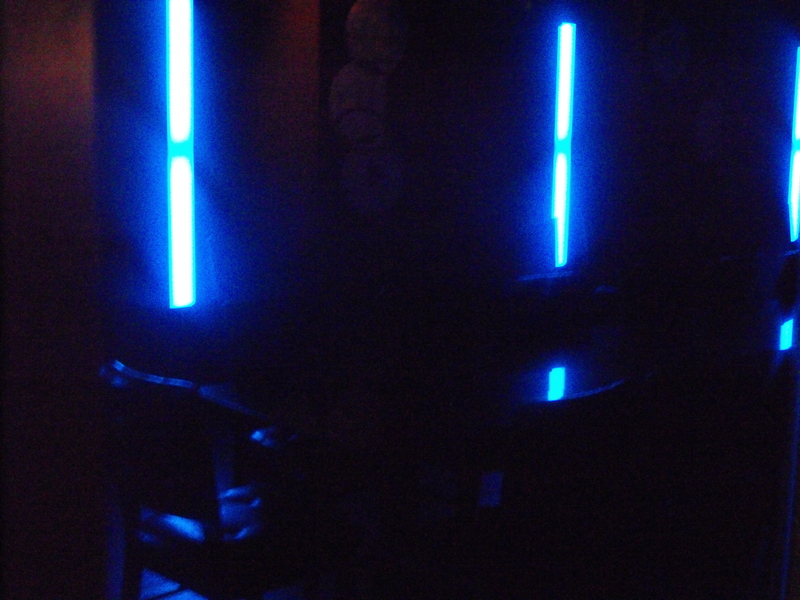 Now that I seem to be entering a new phase in my life as a poet, I am seeing the same thing at the readings I attend. The internet, and even things like this blog, that you are probably reading in the privacy (and isolation) of your own home, have conspired to isolate many of us, while at the same time (as on Facebook) ironically making us feel more connected than ever before. But I think it’s safe to say that as a species, we need shared communal events. In essence, we need community. Not electronic, but actual flesh and blood and bone. As an artist, I believe I am able to contribute to this cause, and the feeling I get in a theatre, or a poetry reading, tells me that it’s not a luxury, it’s a necessity. And so I soldier on. And so we all shine on . . . .
A new poetry reading series was launched in Calgary this evening. Called Pocketful of Poesy, it is being championed by local poet Summer Abney. I was asked to be the feature poet this evening. I’m always happy to help out with such enterprises. Years ago I read at the first ever Red Mile Revenge reading. That reading series continued for years at various locations along 17th Avenue. I was always proud to think that I’d contributed to its success. So tonight we launched a new series. Will it run for years and years? Time will tell, I suppose. Summer and I had a bleak moment around 7 o’clock when no one had shown up and we wondered if we’d just have to go home and try again another night. But, as they say, if you build it, they will come, and before long we had a respectable number of people gathered together for no other reason than to hear from poetry and a bit of music. One of our poets, Chris aka Clayton, told the story of writing his first volume of poetry after being encouraged by some people on the internet not to end his life one bleak evening years ago. And so we were all reminded once again, somewhat graphically, that poetry is not gratuitous or frivolous — sometimes it can literally be a matter of life or death. Well, the old man read a few poems, as my photo shows — the poet in action! But more importantly we had some good readings and some music from poets much younger than me. I’ve included a section of one of my poems below, as well as the poster for this series at the bottom of this post. It will run every Wednesday night from tonight until the end of time. It’s an open mic so all poets young and old are welcome to come down and share their poems. Thanks for reading. See you at Weeds . . . I seem to have gotten myself involved and will be reading some poems and having some kind of slam style competition with Calgary’s Poet Laureate Chris Demeanor. 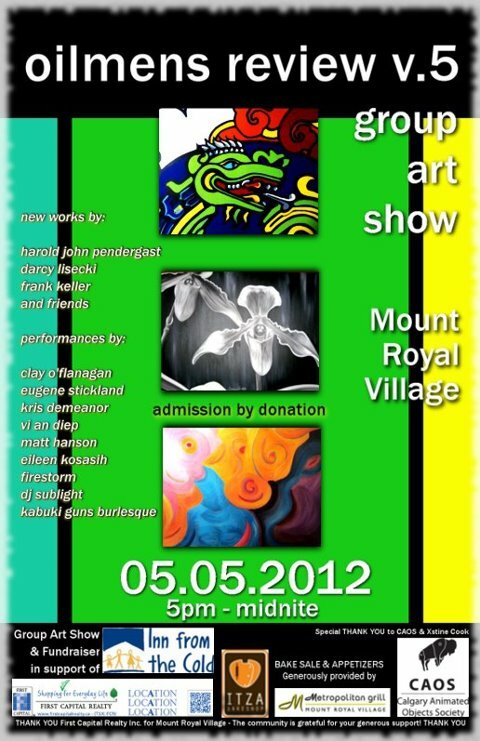 There will be a silent auction for the works of art being produced for the event as well as live music. From what I know, the event is not licensed but the Metropolitan Grill is just upstairs. I love the concept and energy of this event. I like that different artists are coming together to create something for a good cause. It’s always seemed to me that if you put enough creative people in the same room, anything can happen. Maybe after the tension of the recent election, we could all use a good blow out. Well, here’s your big chance. One of the pieces I’ve been asked to read is my earliest poem. Finding this masterpiece led to a rather warm and not always so fuzzy Sunday afternoon, going through a big suitcase (above) full of my journals. 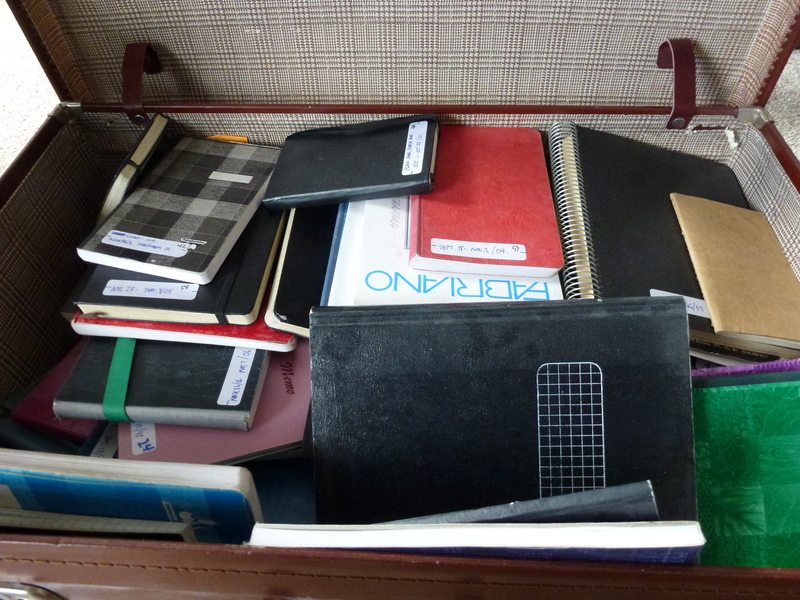 The suitcase contains about a hundred or so of my completed journals, but I probably have another fifty or so kicking around my apartment and my office at St. Mary’s. The earliest one is this one, which I started while I was in Grade 12, back in 1974. It’s full of very, very bad poetry. Now I understand why many artists actually burn their journals. Suddenly it doesn’t seem like such a bad idea. I found an extremely lugubrious poem (what an EMO boy I was!) which I am prepared to read at the Oilman’s Review this Saturday night. If you want to know what the poem says, you’ll have to show up in person. See you there! Any writer worth his or her salt is aware of audience. You can write in your journal or on your shiny new MacBookPro but until you share what you’re writing with someone else, you haven’t completed the cycle and you’re not really writing. You need to share it. Even if it’s only an audience of one, like your husband or wife or creative writing instructor – until you’re prepared to share it, you’re not really a writer. I was thinking of the nature of my own audience when I was looking through the origin of hits on this blog of mine this weekend. Now that I have learned how to figure this out on WordPress, I realize I have been miscalculating just who exactly has been reading these words. I assumed it would be people from Calgary, perhaps those who used to read my column in the Calgary Herald, or have seen my plays downtown, or my students, or my many Facebook friends. Generally, that’s probably the case. And yet reviewing the origins of my hits today, I see I have had six hits so far: three from Turkey, one from Portugal (my daughter, Hanna) one from Canada and one from Taiwan. So clearly, I know nothing about my audience, about who is reading this, or why, and I am once again made to realize just how different the world is now from when I started out in my writing career. My first encounter with an audience was with a small brave collection of souls who showed up at the old Norman MacKenzie Art Gallery at my Alma Mater, the University of Regina, to hear me read some of my poems on a cold and snowy night over 30 years ago. 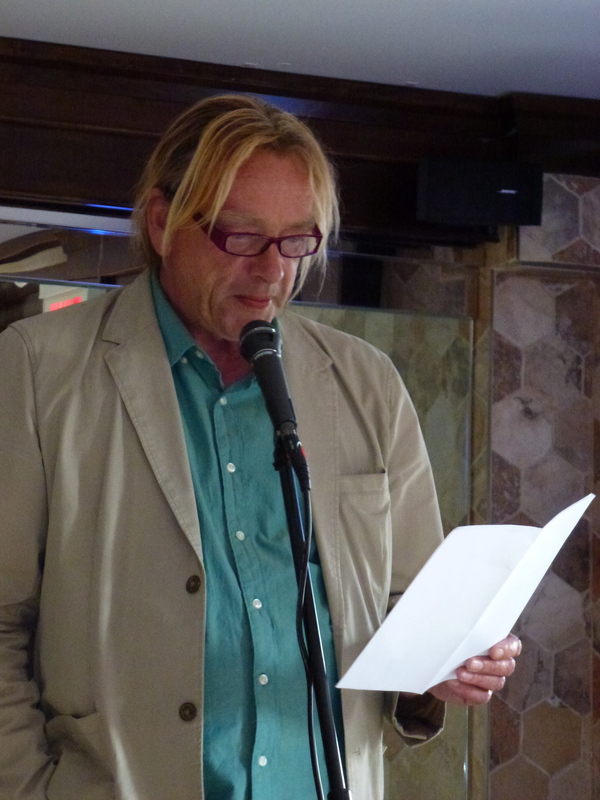 I don’t remember the circumstances of why I was even asked, I certainly hadn’t published anything, but there I was in with my mullet and my skinny tie reading some poems that have since been lost to the ages. Around this time, a short story of mine was produced by the CBC and broadcast nationally. I remember being in Toronto and out for supper with some friends (the Campbell clan). We gathered around the radio and listened to my story being broadcast across the country. Who knows who even heard it? Maybe everybody! Maybe nobody. But I was certainly filled with a great sense of my own self-importance that night like I’ve probably never felt since. That night on the subway home, I felt like Pierre Burton or something. It’s hard to impress on readers of this blog at this point in time the importance of the CBC in the development of a writer’s career. The CBC! The production values! Sea to sea to sea! And the money was nothing to sneeze at, either! That night on my way home, with the sonorous tones of the PROFESSIONAL ACTOR who had read my little story reverberating in my young brain, I clearly thought I was destined to greatness. Suddenly the entire country was my audience. What could possibly stop me?? There followed a career in the theatre (which as far as I know is still ongoing). The blessing and the curse of the playwright is that you have no choice but to be very aware of your audience. You’re sitting right there with them as they experience your work of art. (Or in my case, pacing up and down at the back of the theatre, sweating it out.) You know if you’ve succeeded, that’s for sure. But even more acutely, you know if you’ve failed. Public humiliation is never pleasant, and there’s no worse a feeling than to be sitting in the theatre when your play is going down like the Titanic despite the brave efforts of your cast. Writing for a newspaper is interesting. My column in the Herald came out in the Saturday paper. I remember one of the early weeks, I found myself in a coffee shop watching a gentleman as he read the paper while drinking his morning coffee. I watched and waited. Finally he got to the Entertainment section. My heart raced. He got to the page my column appeared on, frowned, maybe even grimaced, then put the section aside and moved on to Sports. So much for that! But I guess a few people read it over the years. Recently, I was stopped in the Co-op store by a little old lady who told me how much she loves the column and how she reads it every week. Well, I haven’t written in the Herald for a few years now, so I asked her if she was still reading it and she said, “Yes, every week. Wouldn’t miss it.” You can’t very well call a little old lady a dirty stinking liar so I didn’t press the issue. But you can see it makes it hard to know with any certainty just who is reading what. And now this. This internet thing. I just checked my hits again and I have a new one, this one from Mexico. What gives with that? Am I on the verge of becoming an international sensation? Or are there simply people everywhere and anywhere who magically or accidentally hit the right buttons so that my blog suddenly appears on their computer screen? Don’t they have anything better to do? For that matter, don’t I? Maybe not . . . . I really don’t know. I have to admit that I really don’t know who my audience is. If I ever did. So what can I say, but – whoever you are, wherever you are, whatever your reasons for reading this – thanks for reading?! As long as someone is reading it, I’ll keep writing it.